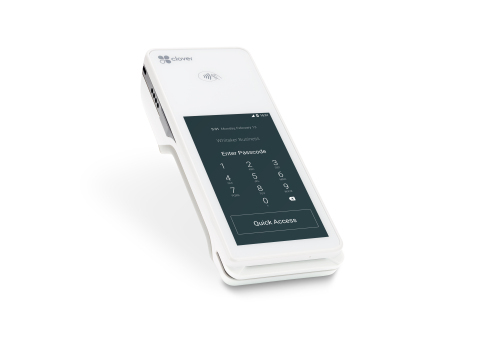 BUENOS AIRES, Argentina & NEW YORK--(BUSINESS WIRE)--First Data (NYSE: FDC), a global leader in commerce-enabling technology, today announced the launch of Clover™ Mini and Clover™ Flex in Argentina. 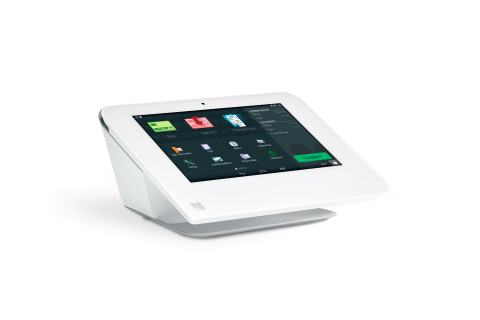 The first smart payments devices of their kind available to businesses in the market, Clover™ Mini and Clover™ Flex will enable business owners to accept the latest in payment innovation, maximize operational efficiency, leverage real-time data analytics, and better engage with customers, all with industry-leading security and fraud monitoring. First Data Chairman and CEO, Frank Bisignano and Clover Founder, John Beatty, joined First Data Executive Vice President, Head of Latin America, Gustavo Marin and General Manager, Argentina, Patricia Guarnes at the Faena Arts Center in Buenos Aires to announce Clover’s launch in Argentina. Supported by the Clover platform, business owners using Clover’s next-generation payments technology can take control of their businesses in real-time over an online backend portal, a merchant web dashboard that can be accessed at any time from a smartphone, tablet, or computer. The portal allows merchants to monitor transaction status, view receipts in an online archive, and make configuration changes remotely. The products target small and medium-sized businesses. First Data’s first two Clover devices available in Argentina are Clover™ Mini and Clover™ Flex smart terminals. Clover is offered in Argentina in tandem with two software solutions: Sistema de Pagos (includes Employee Management, Customers and Reports), Punto de Ventas (Order, Inventory and Fiscal Printer), and is already integrated with the Argentinian market leader fiscal printer (Hasar). Clover’s business management functionality also assists with creating orders, tracking inventory, customizing staffing, enhancing customer engagement, and performing back-office tasks. Clover additionally offers access to a third-party app market, connecting merchants with applications designed to simplify daily business tasks and support functions that are critical to business owners. The apps can sync with accounting programs, optimize employee management, elevate customer loyalty, and more. At Clover’s launch in Buenos Aires, First Data customers – among retailers, banks and influencers - could test the products' functionalities first hand. For more information on Clover in Argentina, please visit www.la.clover.com/.